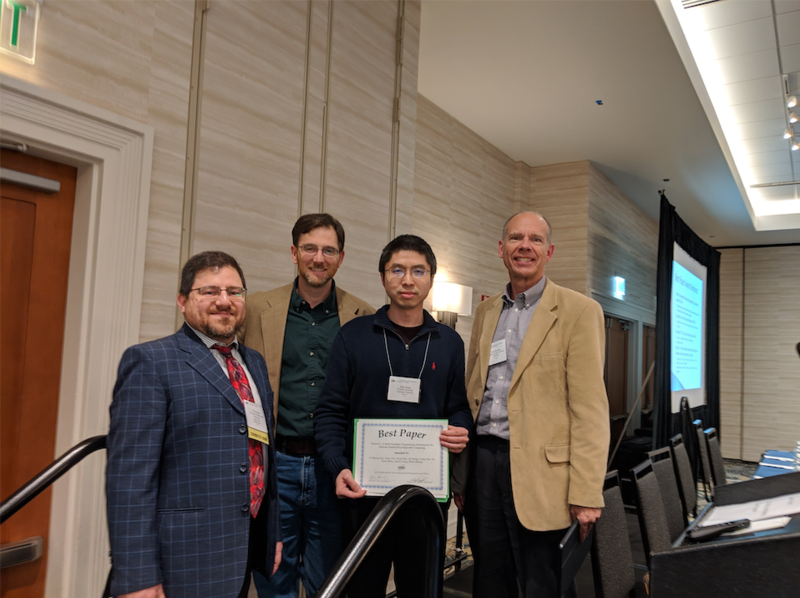 Computer Science Professor Jason Cong and coauthors Yi-Hsiang Lai, Yuze Chi, Yuwei Hu, Jie Wang, Cody Hao Yu, Yuan Zhou, and Prof. Zhiru Zhang has received the Best Paper Award at the 27th ACM/SIGDA International Symposium on Field-Programmable Gate Arrays held in Seaside, CA, February 24-26, 2019. Their paper, “HeteroCL: A Multi-Paradigm Programming Infrastructure for Software-Defined Reconfigurable Computing” results from a close collaboration between Prof. Zhang’s group at Cornell and Prof. Cong’s group at UCLA. HeteroCL is a multi-paradigm programming infrastructure for heterogeneous platforms integrating CPUs and FPGAs. HeteroCL not only provides a clean abstraction that decouples the algorithm from compute/data customization, but it also captures the interdependence among them. Moreover, HeteroCL incorporates spatial architecture templates including systolic arrays and stencil with dataflow architectures. HeteroCL can help developers to focus more on designing efficient algorithms rather than being distracted by low-level implementation details. The ACM/SIGDA International Symposium on Field-Programmable Gate Arrays is the premier conference for presentation of advances in all areas related to the FPGA technology, including FPGA architecture, FPGA circuit design, CAD for FPGAs, high-level abstractions and tools for FPGAs, FPGA-based and FPGA-like computing engines, as well as applications and design studies. This year’s Best Paper Award is selected from a total of 161 submissions.